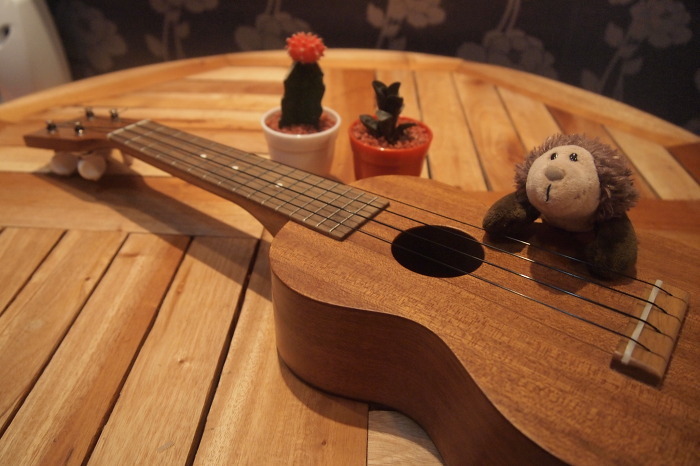 This instrument, which looks like a mini size guitar, is ukulele. A talented member of the studio, Yejin, has recorded herself singing this beautiful song, THE MOON SONG by Karen O, while playing her ukulele. She certainly knows how to communicate with the listeners through her music, and she generously wants to share her music with us. Thank you, Yejin! You are superb! Click on the play button and enjoy!